Grey opal, round shape , 10mm, with slightly bluish color, sold on a 40cm thread. 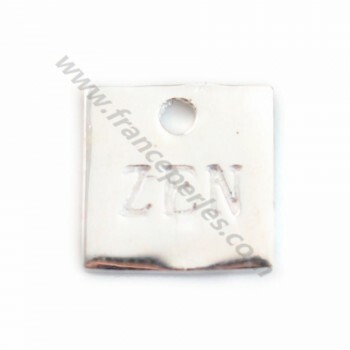 Pink Opal round ,the size is 6mm . 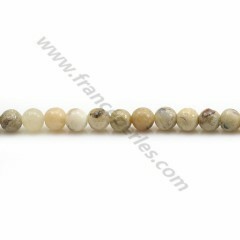 Light pink opal round 5mm in lenght 40cm. Opal pink, in faceted round shaped, and in size of 2mm, sold on a 40cm thread, is called opal "the stone of tears" but also "the stone of hope", its name comes from the Latin "opalus" , derived from the Sanskrit word "upala" which means "precious stone". Opal pink, in faceted round shaped, and in size of 3mm, sold on a 40cm thread, is called opal "the stone of tears" but also "the stone of hope", its name comes from the Latin "opalus" , derived from the Sanskrit word "upala" which means "precious stone". Opal pink, in faceted round shaped, and in size of 4mm, sold on a 40cm thread, is called opal "the stone of tears" but also "the stone of hope", its name comes from the Latin "opalus" , derived from the Sanskrit word "upala" which means "precious stone". Opal pink, in faceted round shaped, and in size of 4.5mm, sold on a 40cm thread, is called opal "the stone of tears" but also "the stone of hope", its name comes from the Latin "opalus" , derived from the Sanskrit word "upala" which means "precious stone". Opal pink, in shaped of faceted washer, 2 * 3mm, quality B, sold on a wire of 39cm, it is a very beautiful stone of protection, which intensifies the emotions and releases the inhibitions of the one who carries it, it captures the surrounding energies very powerfully. 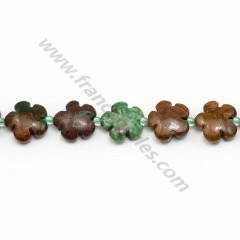 Multicolored opal, in shape of a flower, 15mm, sold on a wire of 42cm, this stone is fascinating because of these multiple colors, what will delight you, and give you ideas, all more original than the others. 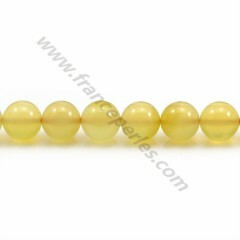 Opal on yellow color, in round shape, 8mm, sold on 40cm thread, the ancients have known the opal in all its colors, hence its presence in the myths and legends of many peoples around the world. 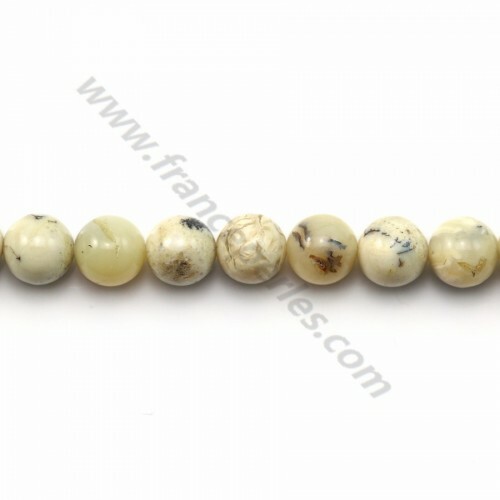 African opal, on beige color, in round shape, 4mm, sold on a wire of 40cm, the wide variety of opals gives free rein to the creativity of jewelers, we see this stone associated with gold, silver than at the prestigious platinum. 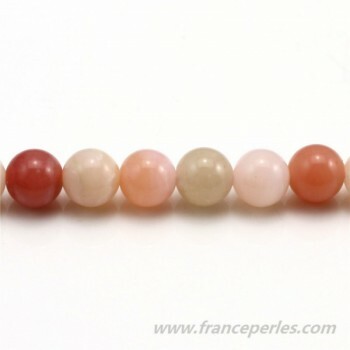 Opal in pink color, in shape of a faceted washer, 4 * 2.5mm, sold on a wire of 33cm, it is a very beautiful stone of protection, which intensifies the emotions and releases the inhibitions of the one who carries it, it captures the surrounding energies very powerfully. 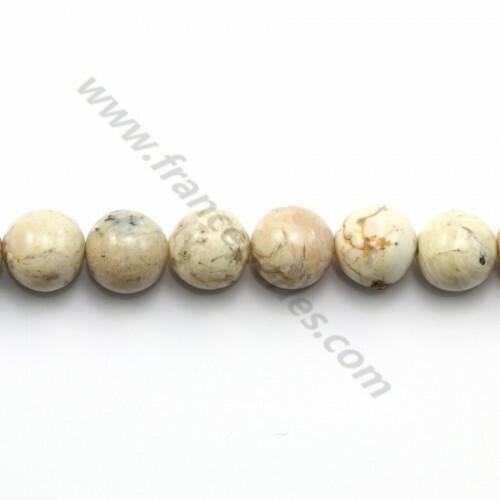 Opal in pink color, in round shape 8mm, sold on a thread of 40cm, it is a stone of love and softness. Pink opal is considered the "Queen of Precious Stones" by Shakespeare. 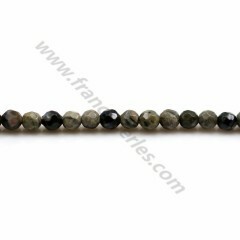 Grey opal, round shape , 4mm, with slightly bluish color, sold on a 40cm thread. 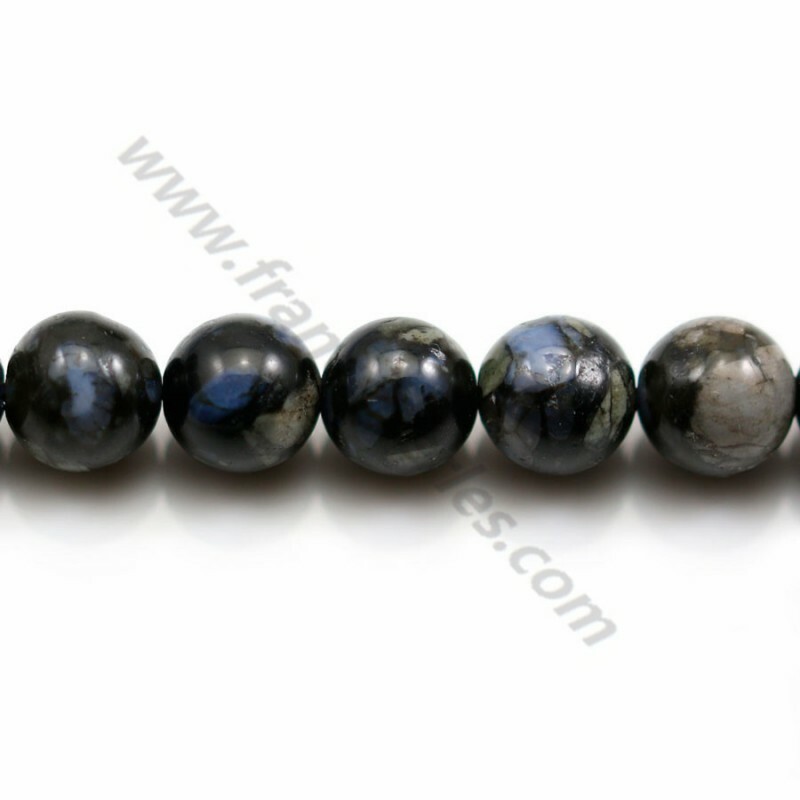 Grey opal, round faceted shape , 4mm, with slightly bluish color, sold on a 40cm thread.